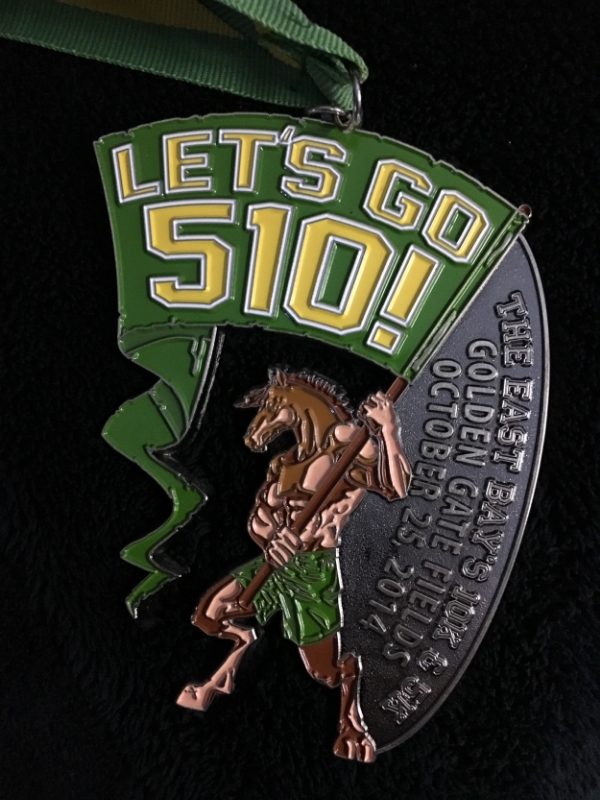 As part of the Run The Bay Challenge, the Let's Go 510 10K and 5K races took place on 10/25 in the East Bay while I was in Southern California. I've said it once and I'll say it again - I LOVE that this race series offers runners an opportunity to get our miles in remotely! That's how I was able to complete this race and the 415K. I woke up early the morning before the Rock 'n' Roll Los Angeles Half and ran (OK, walked really fast) around Disneyland before hopping in my car and heading to LA. It was humid and I was still dehydrated and thoroughly exhausted from the Halloween Time shenanigans the night before, but I still put in the miles. It was a good preview to the weather I'd be dealing with the next day. As always, Represent Running delivered the bling! The final race in the Run the Bay Challenge series is over and I am so happy I was able to get it done!